Demand for fresh organic produce is up but contract farming has helped NTUC FairPrice supermarkets to keep prices affordable for the masses. The homegrown retailer now has 11 contract farms in Thailand producing vegetables like Japanese cucumber, baby kailan and French beans for its household Pasar Organic brand. Organic products – once available only at specialty stores at selected areas in Singapore – are now widely available at FairPrice branches in the heartlands. The prices can be between 10 to 30 percent lower compared to other brands, says Mr Tng Ah Yiam, managing director of group purchasing, merchandising and international trading for NTUC FairPrice. “Such contract farming agreements allow FairPrice to forward buy produce at an agreed price which makes the retailer less vulnerable to sudden price changes due to shortages in the market,” he says. The contract farms are part of the Royal Foundation Project, a Thai government-led agriculture initiative. “Pasar Organic produce is fully organic as certified by the Organic Thailand Agriculture Standards certification and this was the first organic quality assurance programme in Singapore,” Mr Tng says. The Agri-Food & Veterinary Authority of Singapore, which oversees food safety, requires suppliers or retailers of organic products to produce such certification during routine checks. Having this safety net is assuring to retired bus driver Loo Wai Ming. The 69-year-old widow says: “I shop at places I know and trust. There is a super-market opposite my home, so it’s quite convenient. I go as and when I need.” Consumers like her are driving up demand. “The sales of organic vegetables have seen a year-to-date increase by over 25 per cent,” Mr Tng says. To give shoppers more variety, FairPrice has also been sourcing for organic products from other parts of the world. These include countries like Australia and the United States with established organic food production standards set by international bodies. For seasonal fruits like nectarine, grape, peach and avocado, the organic versions are available at FairPrice Finest supermarkets. These stores also have a dedicated one-stop Just Organics section with fresh food, groceries and non-food items for shoppers’ convenience. FairPrice started selling organic products, including non-food items, in 1998 with less than 200 items. Now, the total variety of organic products is more than 600. Compared to last year, there has also been an increase by about 10 per cent. Mr Tng says: “Organic vegetables are our most popular and we currently have a range of over 30 varieties, depending on the season. A packet of organic vegetables cost on average more than double the traditional variety but paying more does not mean products look perfect. 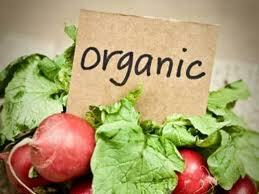 “There is a lack of scientific evidence to show that organic foods are more nutritious or healthier. Madam Loo says she doesn’t mind paying a premium for basic essentials such as fresh food and has the support of her two grown-up daughters.